Skeleton Technologies is a developer and manufacturer of high energy and power density ultracapacitors. The company provides green and cost-effective energy storage solutions for the automotive, transportation, industrial and renewable energy markets. Skeleton Technologies’ SkelCap line of ultracapacitors are based on patented technologies of ultracapacitor design and advanced nanostructured carbon allowing for higher energy and power density than competitors. The company has devised a process that uses silicon carbide to make what they call "curved graphene". In August 2016 Skeleton raised €13 million, which brings total financing to €26.7 million. In February 2017 Skeleton received a €15 million loan from the Europrean Investment Bank. Skeleton Technologies’ high-performance supercapacitors are set to be launched into orbit as part of a European Space Agency project and are also available as part of a hybrid Unmanned Ground Vehicle (UGV) for defence applications. In August 2015, Skeleton entered the commercial truck fleet market when it launched a graphene-based device that helps truck drivers start their engines after long periods of inactivity or in cold weather. In July 2016, Skeleton Technologies announced that it will join French firm Flying Whales’ programme to build a 60-ton Large Capacity Airship, or LCA60T, for the global transport market. Skeleton Technologies and British bus manufacturer Wrights Group have announced the signing of a high-volume, multi-million-euro contract for the next 5 years. Skeleton Technologies will supply graphene-based supercapacitors to the latest KERS enabled hybrid-electric double and single deck buses produced by the Wrights Group. The demand to reduce CO2 emissions in city centers is one of the key drivers for WrightBus to implement new technology which cuts such emissions by saving fuel. The integration of graphene-based supercapacitors into test WrightBus double deck buses reportedly enables a 36% fuel saving compared to a UK-based EuroVI diesel bus baseline. It also adds at least another 3 passengers to the capacity of these buses compared to a lithium battery-based hybrid equivalent. Skeleton Technologies has announced the signing of a distribution agreement with Sumitomo Corporation Europe, with the aim of providing energy storage solutions for the rapidly growing hybrid electric and electric vehicle industry. In electric vehicles, graphene-based supercapacitors can be used in tandem with lithium-ion batteries, doubling the battery lifetime and downsizing the cell receiving the peak power from supercapacitors and the long-term energy from the batteries. Skeleton Technologies has unveiled SkelGrid, an energy storage system for industrial power applications, based on the company's curved graphene supercapacitor technology. The system is meant to ensure reliable power quality in manufacturing plants, data centers, and more. 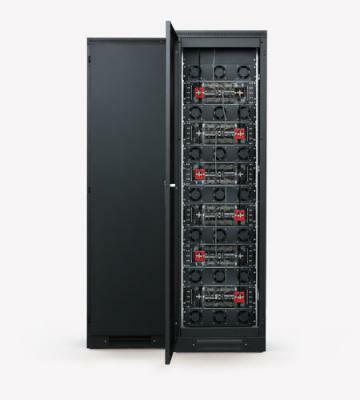 SkelGrid is said to provide the highest power and energy density on the market in the industry standard electrical cabinet or container format. The SkelGrid product family is based on SkelRack modules, which can be installed in industry standard 19”, 600mm deep cabinets, and in 20 or 40 ft. containers to provide short-term power at the megawatt level. The SkelGrid family has maximum power ratings ranging from 520 kW up to 1500 kW, and as a modular product, its components can be configured according to customers’ needs. Skeleton Technologies, developer and manufacturer of high energy and power density supercapacitors, has announced launching a new graphene-based engine start module to help power heavy industry vehicles in extreme conditions. 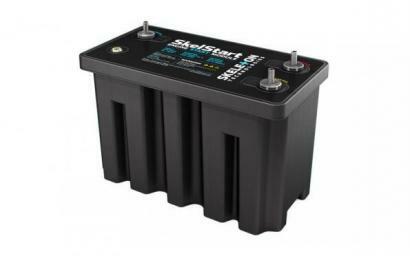 Called SkelStart Engine Start Module 2.0, it is available in 24V and 12V versions and is based on the graphene-based SkelCap supercapacitors, which Skeleton says provide the highest power and energy density on the market.